Ladies, we have a new writer. Say hello to the Gorgeous Lakshmi (I kid you not, she is a real beauty. 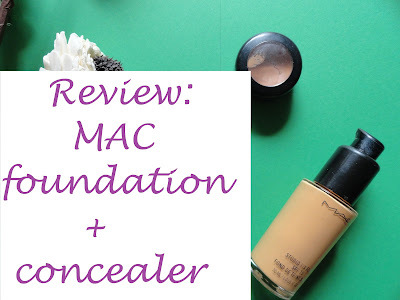 Okay so she hasn't shown her face in this post, but we'll get her to do so in the next one) and this is her first review ever! 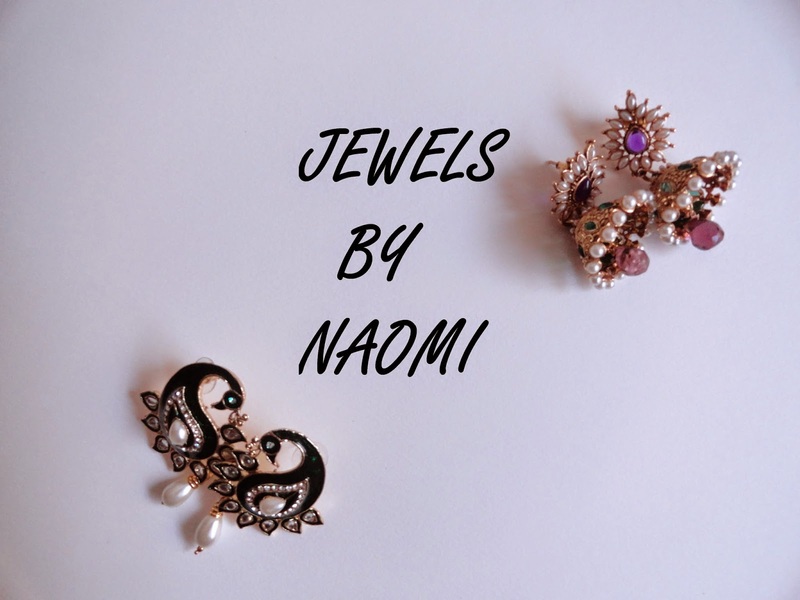 !I am so happy to say that she will be blogging for IshtyleAwhile on a more regular basis. Hey there Gorgeous! Yes, come right in. You are bang on time! 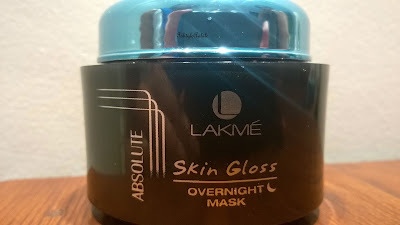 I was just about to tell all these lovely ladies (and that occasional gent over there) about the Skin Gloss Over Night mask, from Lakmé. So I eagerly opened the lid to try out my new acquisition and took a generous sniff of the contents inside. I was promptly assaulted by a very sharp, strong and a very much masculine cologne-y smell. It was extremely surprising and a bit disappointing. Yes, the packaging looked unfeminine and sleek so I wasn’t hoping for anything floral but something minty or earthy would have been nice. A scent so masculine that makes you wrinkle your nose is a definite no-no. Seriously Lakmé, what were you thinking?! Anyway, moving on to the product as such.. It is a white gel like substance that is cold to touch and gets absorbed very easily. I love how quickly you can spread it on your face and how only a little quantity is actually needed to completely cover the face and neck. Not much massaging is required and you are done with this nightly ritual in under three minutes! It is exactly the kind of refreshing cold gel you would like on your face after a long day at work (bit challenging to use in winter after a hot shower though, because when I say that the product is cold, I mean it!). 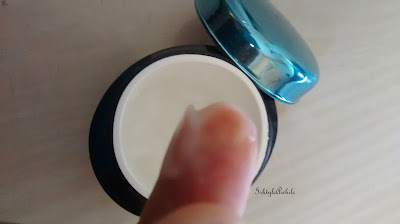 Your face feels smooth and evenly moisturized. 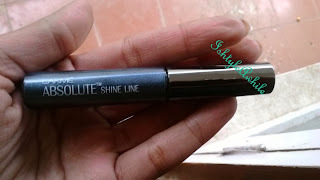 It looks shiny and feels wet for a while, till the product is completely absorbed. It is a good sensation to feel when your skin is so dry! 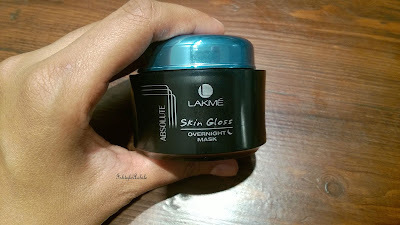 I would advise applying this cream twenty minutes before turning in for the night so that the wetness passes leaving only a well moisturized skin in its wake. Coming to the million dollar question (or rather the 599 INR question), is it worth it? Well, honestly speaking, even after religiously using the product for a good two months, I found no remarkable difference to my face. Atleast, none of the suppleness or ‘luster’ that is promised. Infact a good dabbing of olive oil would have given the exact same results. 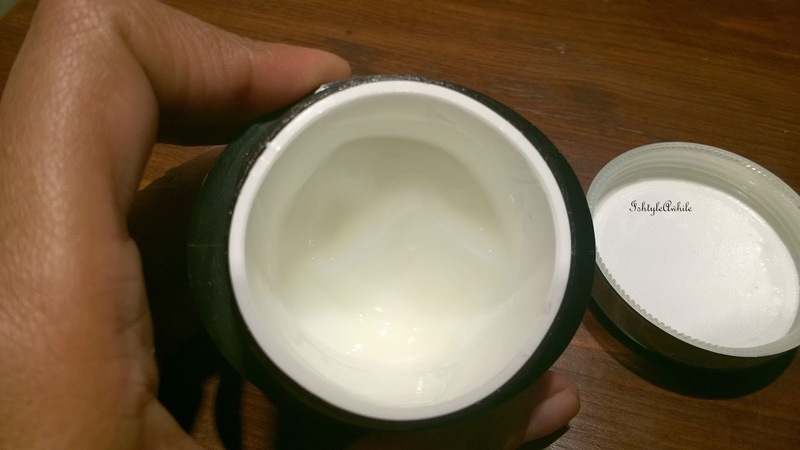 Also ladies, it is generally a good idea to steer clear of products that make your husband take a cautious sniff and enquire if you have started using Men’s deodorants. So, yes, the cost is a bit high (599 Rs for 50g). But I would have gone back for more if it had a bit better user experience and had given noticeable results. Bottom Line: No, I wont go back to buying it. 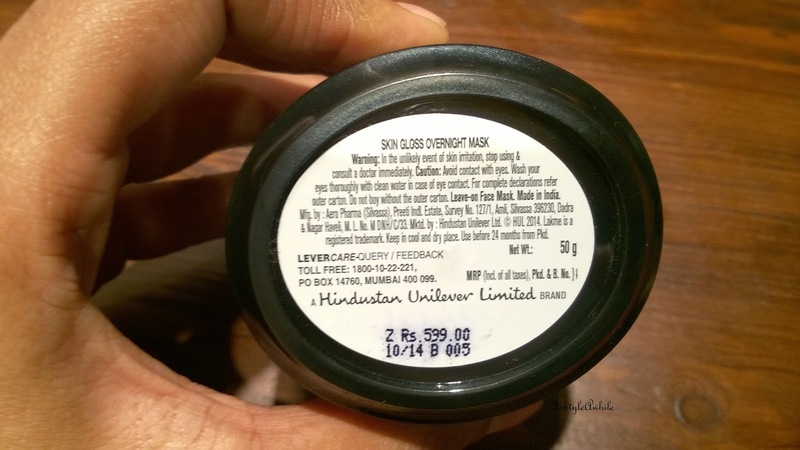 It is not a bad buy per say, but if I was spending 600 bucks on a product, I would expect better results and definitely a much better scent. 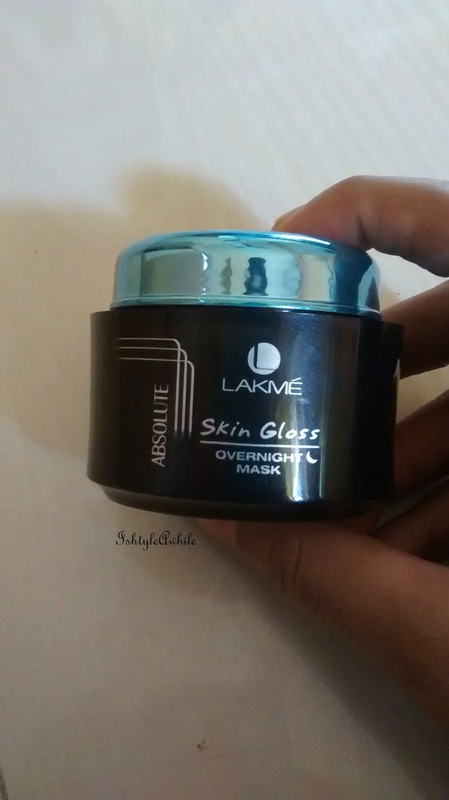 So ladies, do let us know if you have used the Lakme Absolute Skin Gloss Overnight Mask and what are your thoughts on it.